Love is Everywhere: Another fun Guest Post! Happy Sunday to you all! 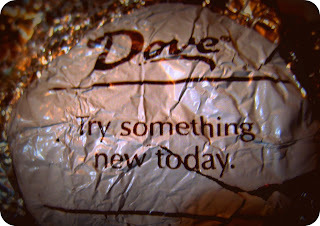 I hope that you 'Try Something New Today' my cute little chocolate dove wrapper reminded me of. Have fun today, love you all and I'll be writing more later!